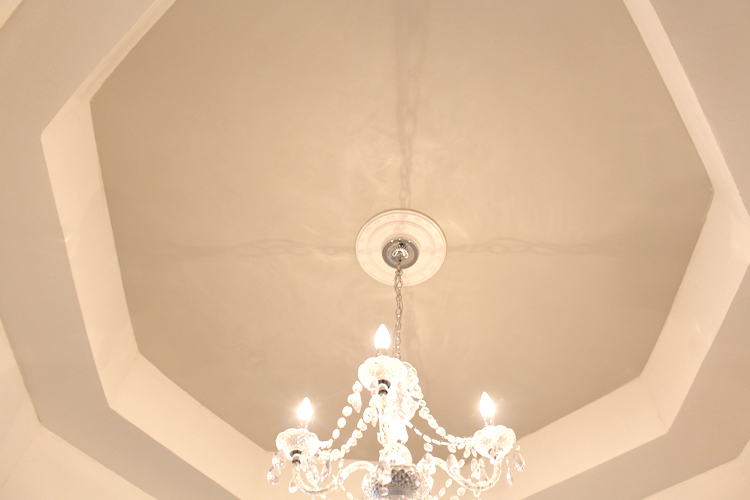 A closeup picture of a Venetian Plaster and Quartz Stone finish. A clean color scheme of white and grey with a high gloss finish. Contemporary and an excellent upscale option for those looking for a unique finish.